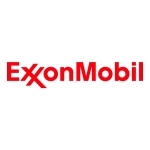 IRVING, Texas--(BUSINESS WIRE)--Petrobras and ExxonMobil today signed a memorandum of understanding regarding a strategic alliance to jointly identify and evaluate potential business opportunities. Petrobras is an integrated energy company with focus in oil and gas, recognized as a leader in deep and ultra-deep water exploration and production, operating mainly in Brazil. Currently, Petrobras produces close to 2.8 million barrels of oil equivalent a day. The company’s core values are respect for life, people and the environment; ethics and transparency; market orientation; excellence and trust; and results. For more information, visit www.petrobras.com.br. ExxonMobil, the largest publicly traded international energy company, uses technology and innovation to help meet the world’s growing energy needs. ExxonMobil holds an industry leading inventory of resources, is one of the largest refiners and marketers of petroleum products and its chemical company is one of the largest in the world. For more information, visit www.exxonmobil.com or follow us on Twitter www.twitter.com/exxonmobil. Cautionary Statement: Statements of future events or conditions in this release are forward-looking statements. Actual future results, including project plans and schedules could differ materially due to changes in market conditions affecting the oil and gas industry or long-term oil and gas price levels; political or regulatory developments; the outcome of commercial negotiations including the ability to acquire attractive interests; the actions of competitors; the outcome of future exploration and development efforts; technical or operating factors; and other factors cited under the caption “Factors Affecting Future Results” on the Investors page of our website at exxonmobil.com. Closing of the acquisition is subject to satisfaction of conditions precedent specified in the applicable agreement. References to barrels of oil include amounts that are not yet classified as proved reserves under SEC definitions but that we believe will ultimately be produced and moved into the proved reserve category.